Products made from grape juice, including wine, are only Kosher if produced by Jews. This is derived from the ritualistic religious use of wine by non-Jews (as well as Jews); an entire vineyard, or an entire pressing of the grapes would be dedicated to a god other than that of the Jews, and if some of the product would find its way to be consumed by Jews, or even used for Kiddush, that would constitute idolatry or sacrilege. Such wine is known as Yayin Nesech, and may not be consumed, even if the wine was known not to have been used in a religious ceremony. Though modern wine is rarely used in a religious context, all wine from non-Jewish sources is still considered not Kosher. One area of leniency is with pasteurized (or cooked) wine (mevushal in Hebrew), which is viewed as less suitable for religious practices, and is therefore subject to fewer prohibitions than un-cooked non-Jewish wine, primarily regarding the way it may be handled. However, even mevushal wine is forbidden without proper supervision. As a consequence, many candies, drinks, and other foods are often not available in grape flavor. 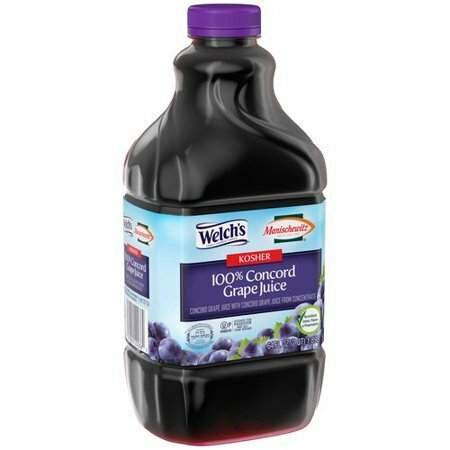 Many blends of fruit juices are also flavored with white grape juice, and are thus viewed as grape products. Next PostNext What is Cholov Yisroel?